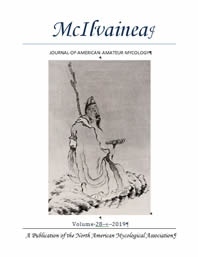 McIlvainea is published by the North American Mycological Association (NAMA) and accepts original and review articles on all aspects of fungi. White paper on strategies to reduce risks and expand appreciation of foraged wild mushrooms (pdf) Anna Bazzicalupo et al. The Incidence of Mushroom Poisonings in Turkey from 1965 to 2000, with a Comparison to Cases from North America. Fahrettin Gucin, Ph.D. and Britt A. Bunyard, Ph.D.
Forest Management and the diversity of wood-inhabiting fungi. Daniel L. Lindner Czederpiltz, Glen R. Stanosz, & Harold H. Burdsall, Jr.